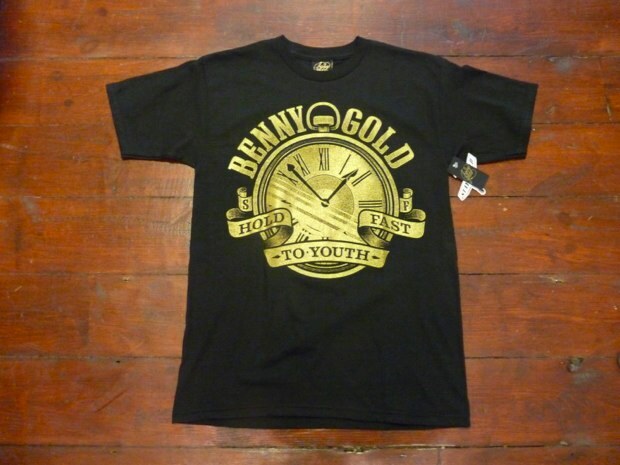 This past week another U.S brand landed on our shores delivering us a few bits a pieces from their FW10 collection, this brand being Benny Gold. 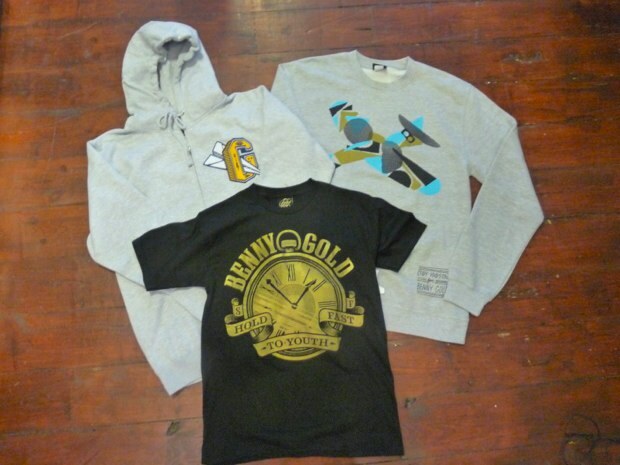 I am a fan of the paper plane freshness of Benny Gold, it’s a brand that for me uses simple designs, promotes themselves well and has that air of realness about it – a brand started simply for the love of wanting to make interesting appealing clothing for not just street wear heads but for everyone. 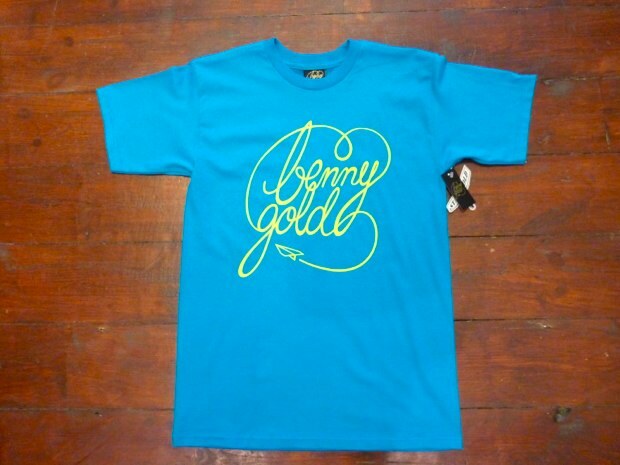 As per usual the familiar logo’s of the toy/paper plane Benny Gold use are present on various t shirts, hoods and sweaters. 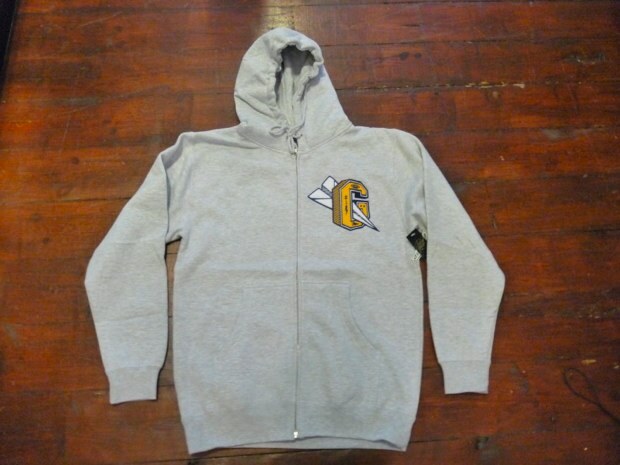 You can’t beat a grey hood or sweat, you just can’t, and here we have two perfect examples of this, the hood perfect for a good winter under garment, full zip on this to – very nice looking hood. 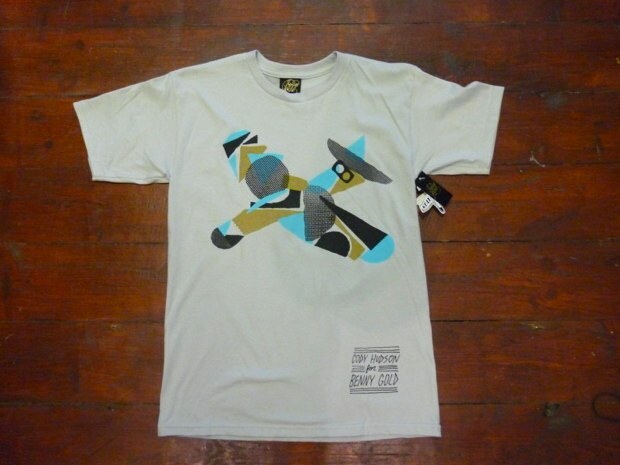 The sweat keeps things simple with a plane logo made up of coloured shapes. 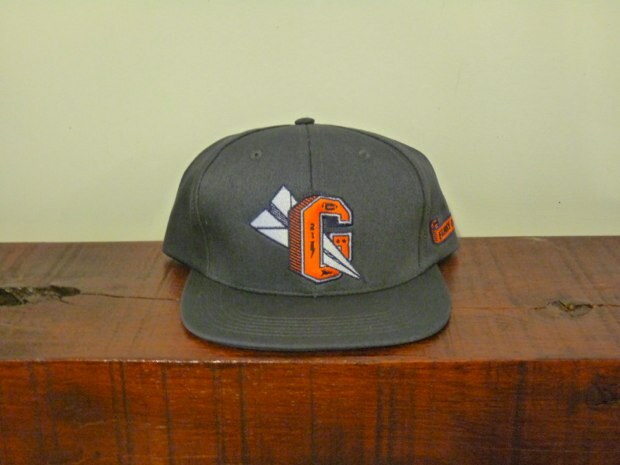 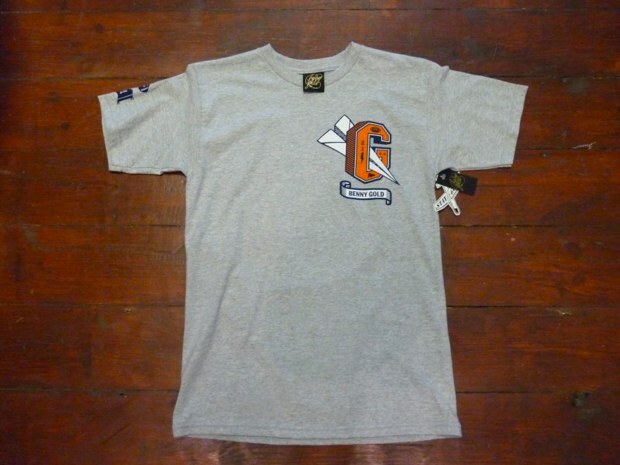 A mix of t shirts, the staple of any street wear brand, here are to a high standard, nice graphics and nothing to loud or garish, but for me the high light is the cap, ‘G’ logo with paper plane on full view, very nice! 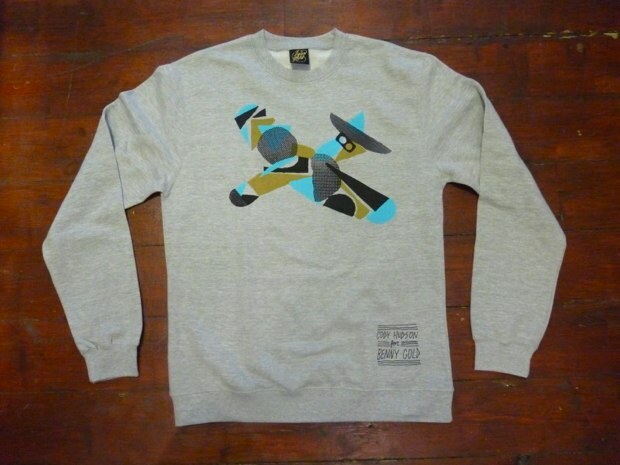 All here available right now from Angry Daves.